Many customers choose to enhance their new windows with decorative glass features, including leaded and Georgian designs, coloured or bevelled glass and acid etched glass. Decorative glass features will obviously cost extra but can also create individual designs to make your property stand out from the crowd. There are so many different leaded designs available compared to the standard square or diamond lead that there is at least one to suit every home and window style. Leaded windows may be a little out of fashion at the moment but the tasteful and more discreet border lead designs may be your choice of decorative glass. There is a wide choice of coloured glass effect films available which, with silver, black or gold lead profiles combine to produce an infinite number of potential designs from the traditional to contemporary. 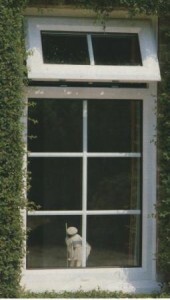 To create a Georgian window effect, the Georgian ‘fret’ matrix or single bar is contained inside the sealed units of your windows and can be supplied in white or wood grain effect to match the frame colour, or either gold or chrome for something a little different. 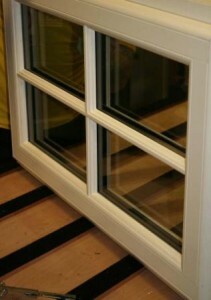 Most suppliers will also offer Georgian bars to match window frames which are woodgrain effect on one side and white on the other. Whilst Georgian fret sits in between the two sheets of glass in new sealed units, Astragal Bar is on the outside of the sealed unit, creating the effect of individual sealed units within a single pane of glass. This better replicates the appearance of traditional timber windows with a modern, PVCu window or door frame. Although there is an enormous choice of decorative glass designs, some suppliers offer bespoke designs in coloured and bevelled glass, sometimes to match an existing window or even where the customer creates his or her own feature. Additionally, true leaded lights (the type which has individual pieces of coloured glass held together with welded lead, and often seen in Victorian houses) can also be encapsulated within a modern sealed unit to preserve not only the exact style but also a piece of history. Expect to pay heavily for this service though, and no guarantee can be given against breakages when removing leaded lights from old timber windows.